Not cheap, but Vesuvio are so cool! Not $150k cool. Last month I referred a Rennlister to a Vesuvio C2S for $50k; a bit rough but still a great deal. Hopefully he'll post and introduce the car here. 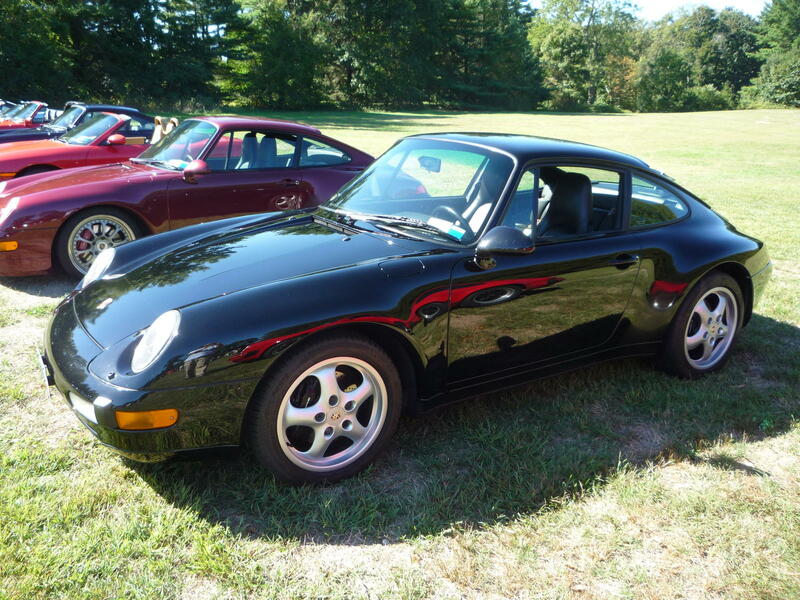 Asking prices $ for MY97/98 993 S model coupes ... silly ... ? Original owner - spec'd new May '97. , , 9/'97 USA production. MSO to state title; 11/1997 to present. Fully Spec'd option's; Full Leather, HB ht'd seats, Litronic's, HiFi, CD, OBC, R. wiper, Exh Ovals, alum "S" sills, etc. Excellent condition, garaged. 99.44% OEM stock. Comprehensive OEM service practices w/documentation. Order sheet, Monroney label, Owners manual, tools, tire pump, etc. - Row S coupe suspension M033 springs w/F&R swaybar, ToreB's LED conversion, Huper Opticks rear glass . . . . There's zero intention of moving the C2S along as its committed as a college graduation gift. * practice'in to drop'in my ing's. The "reasonable" $159,000 USD would make a solid 911R down payment. A possibility in the not to distant future... Say after one of the lucky few grow tired of the R and move on to the 911 du jour. I am obviously biased, but given my search to find the right car, I think this is a "reasonable" asking price assuming perfect condition 10/10 no story car, which it appears to be. Before all the "you are crazy" responses start, I would challenge you to find a car that checks all the boxes here. Not some of the boxes. To the right buyer, all the boxes have to be checked. 1998 C2S, Silver/Black, all original, low ownership, low miles, no paint, no mechanical issues, last month of air cooled production, full documentation, original factory hollow spokes, etc. They are just getting harder to find. 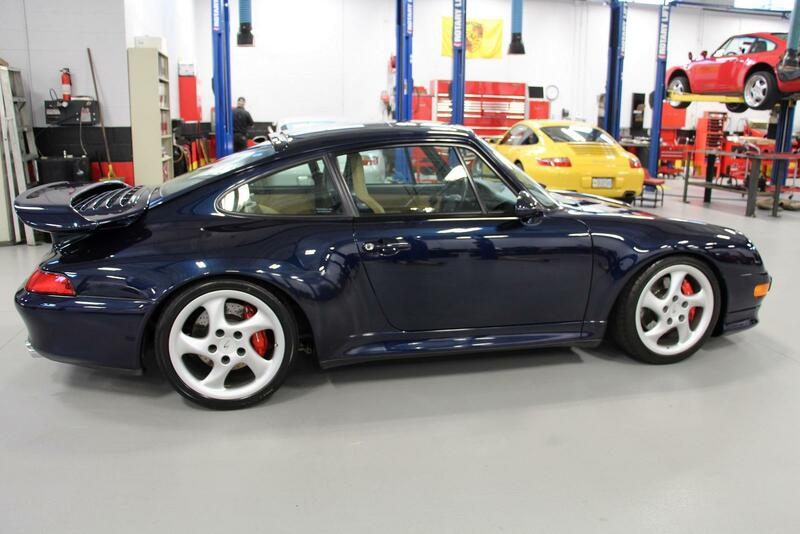 If this asking price has some room for negotiation, its a "good buy" for someone that wants the last 993 in widebody in this configuration and doesn't want a turbo. Top 5% of market. It would need to check out as such. The Vesuvio C2S model trim, basically a paint scheme, was a 1998 only No Cost option. A marketing exercise intended to spur sales as 993 production wound down. The No Cost "V" scheme was in addition to the extended terms, further discounting and the -2% of total MSRP "trunk money" deductions. Porsche AG pulled out the marketing/sales stops in '97 & '98 to invigorate slowing 911 sales as NA dealerships were not buying 993's in any appreciable numbers. 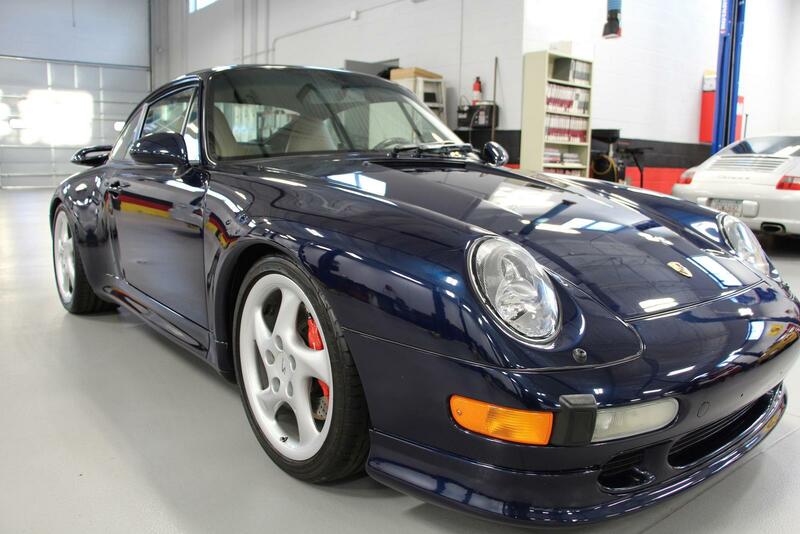 Dealership inventories of new 993 vehicles was few and far between. Do recall year '98 was on the cusp of the 996 model - simply not another 911 product evolution-business as usual new model year. Out with the evolved Mezger 3.6l architecture . . . . in with the 996 H2O M96 flat-six introduction. ..."The future" .. The Vesuvio C2S production timing was intended to have vehicles on display in dealer showrooms for Summer '97, late Summer into Autumn. The dealership buyers largely received the Vesuvio trimmed C2S as milquetoast, a "trendy paint scheme" not something of value for the time-honored Porsche enthusiast. Not feeling the Vesuvius/Cashmere combo at all. ... Glanced at your posted For Sale listing. Man, that's a nice coupe. The 993 Full Leather interior option dramatically elevates the feel of the coupe. A buddy often orders cars with a "Sunroof Delete" gaining much headroom. Nice coupe! Good luck w/sale. What's a ballpark value for a '95 white over black C4 cab? 115k miles. Car has received routine maintenance and recent reseal. Leak down and compression are all good. No idea when shocks, rotors, etc. have been serviced. Regular wear and tear on interior and exterior. Original paint. Seller is asking a little over 40k. Hard to be certain. Could be a good deal. Can't imagine it's on the original shocks, rotors etc. Find out what needs doing and tot that up and add it to the price and see what you get for that figure elesewhere. As far as 993 desirability, I gotta think the c4 cab is pretty low. Even lower if it is a tiptronic car. A little over $40k is about c2 manual coupe money with those miles, as described. I would think low-mid 30's is more realistic for a c4 cab. Thought I would chime in on this thread as my 993 is on the market. Very rare color combo for a 1998. Can find all details on thread below. Willing to entertain reasonable offers. PPI is welcome and encouraged. What do you guys think about this 993 manual. I looked at it and it's very clean. I sold my 964 and I will be looking to replace it and this beauty just popped up locally. For the money though I may go with a 2009-2012 997.